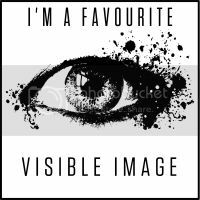 I really like Lavinia stamps but I very rarely use my collection. So my friend had her birthday last month and I decided to make her a nice card with fairies. I started by spritzers a piece of white can with several mica sprays. After this had dried I used several different stamps to create my scene. The first stamp I used was Freya, she is my favourite of all my fairies, but I might be bias because that's also my daughter's name. 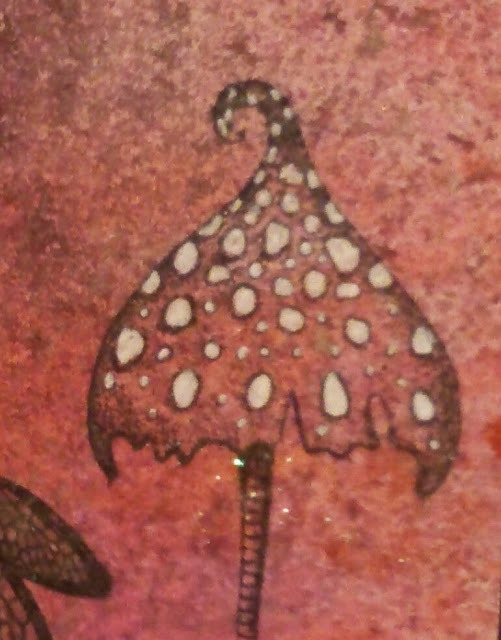 Then I stamped the mini toadstools and the spotty toadstools, I masked off the smaller spotty toadstool on the left to give my card a bit of depth. I then coloured the spots white with a white gel pen. 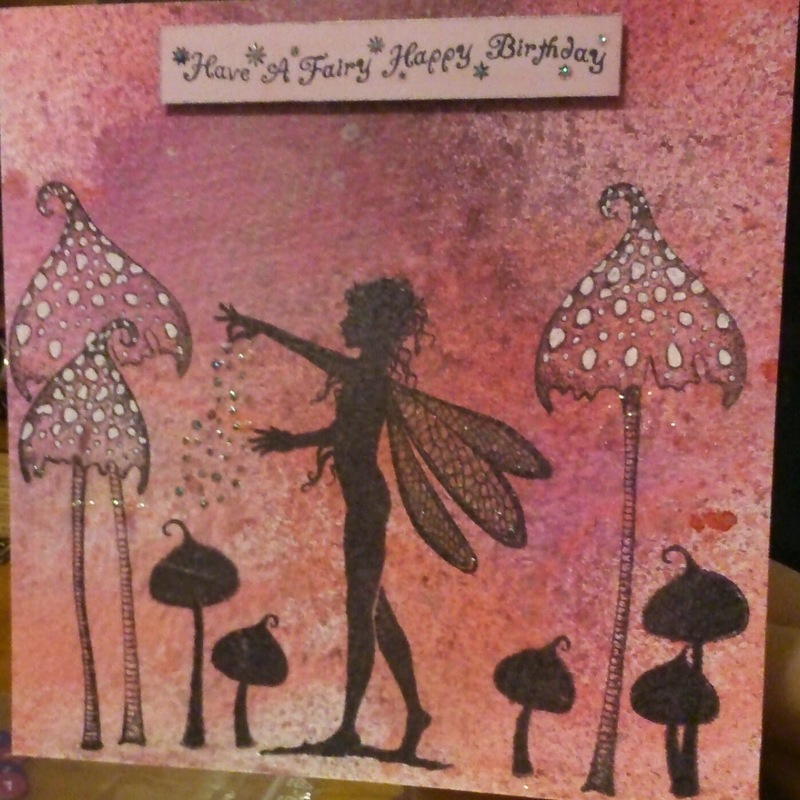 I stamped the 'Have a fairy happy birthday' onto a piece of pink card and mounted it using foam pads. 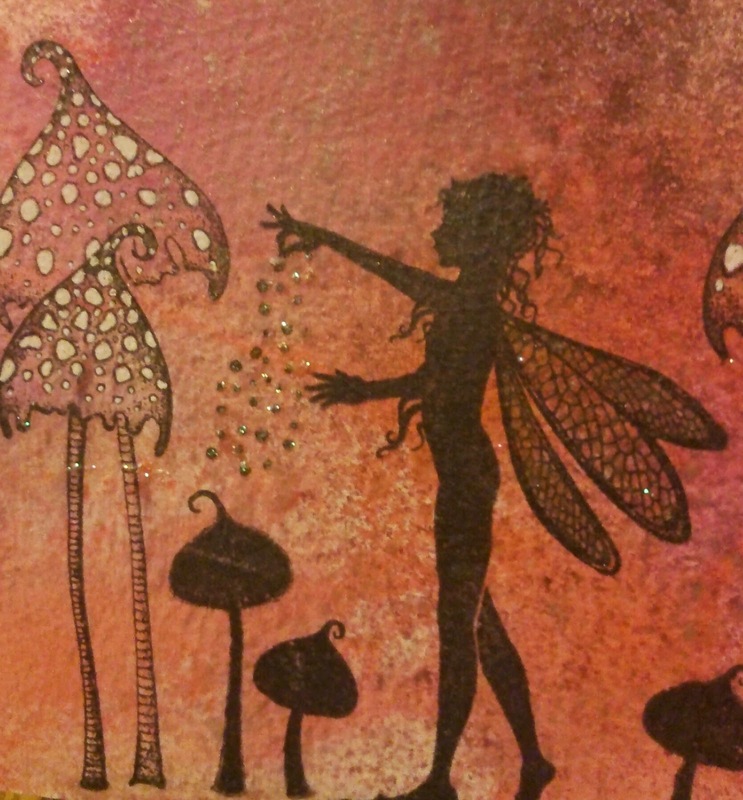 Finally I added a bit of sparkle to Freya's wings, around the magic sprinkles, on the toadstools and on the greeting.